Alex Gonzaga's Boyfriend Is Having An Affair According to Luis Manzano? Read The Whole Story Here! Cathy Gonzaga, or Alex Gonzaga on screen, is a Filipino singer, actress, author, television host, and comedienne. Like her sister, Toni, Alex also made her way to show business through acting and singing, but she established herself in hosting. She is also a well-known comedienne because of her funny aura. 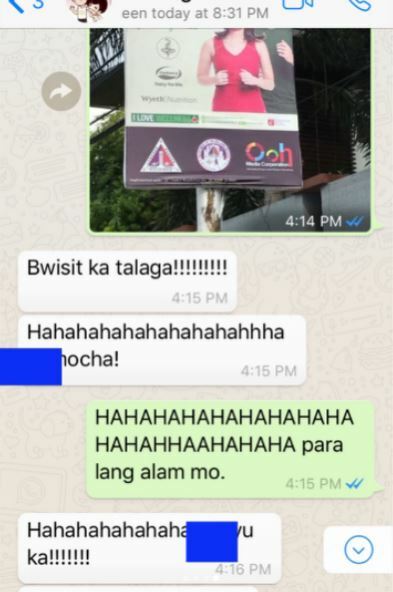 Currently, she is in a relationship with Mikee Yambao, a physical fitness enthusiast. 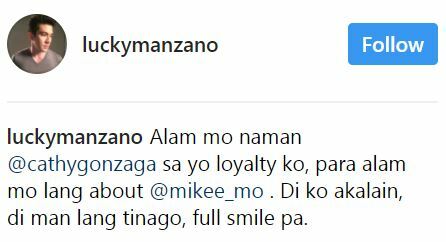 However, just recently, Alex Gonzaga received news from her close friend Luis Manzano. 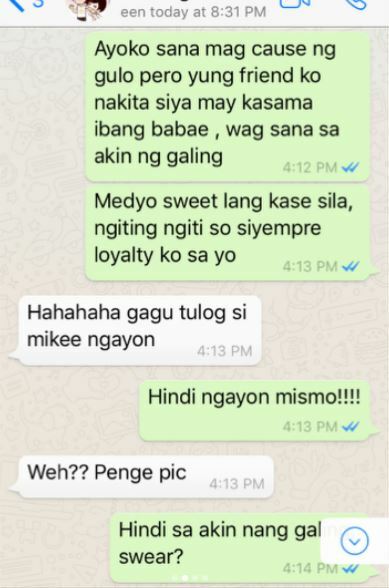 According to Luis, he saw Mikee with another girl. He also mentioned that Mikee looked at him with a huge smile on the face. Luis said his loyalty is with Alex which is why he was telling her what he saw. 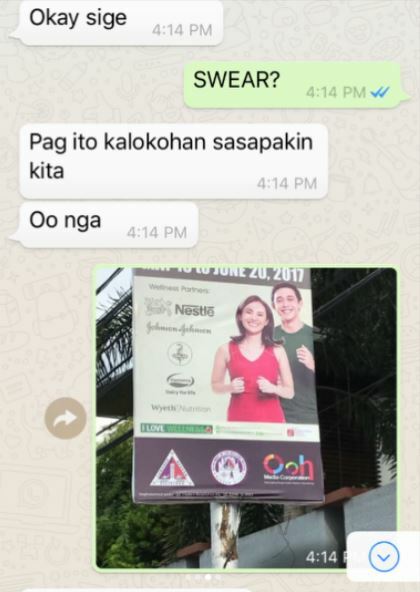 He posted their conversation on Instagram. Meanwhile, Mikee said he was looking at Alex’s photos in Instagram. When he already had the chance to talk to Alex through Piolo’s phone, Alex told him to make a way if he wants to talk with her further. 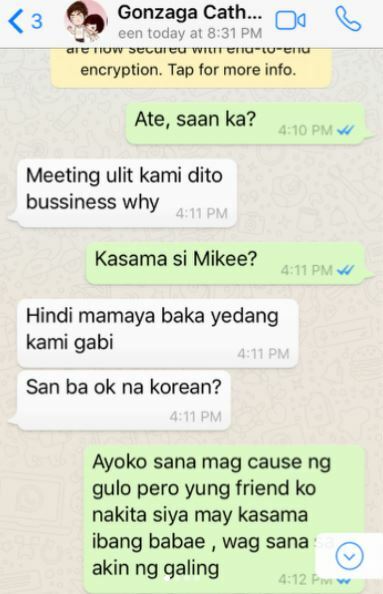 So Mikee took the courage to get Alex’s number from Piolo and the rest is history. 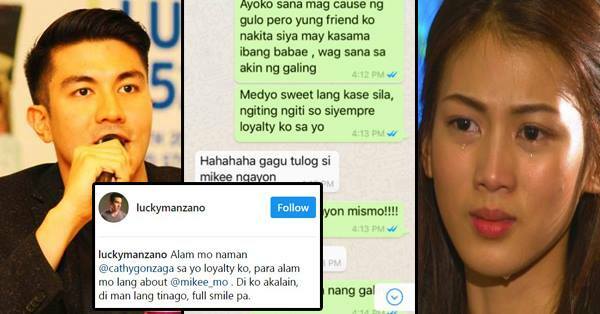 If you were on Alex’s side, how would you first react with Luis Manzano’s message about your boyfriend? Share it with us in the comment section below!